This sandwich is smooth as silk and sweet as candy. 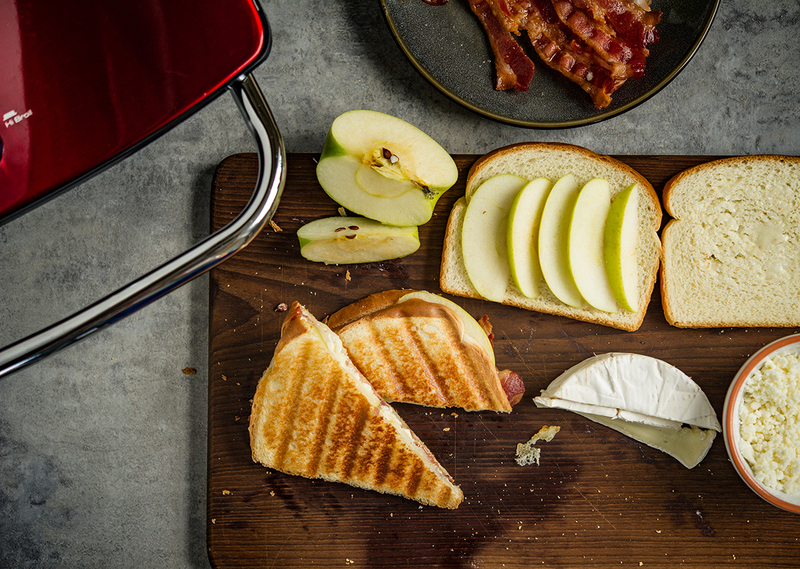 Become a connoisseur of Panini’s with this great grilled recipe! Attach upper and lower grill plates to Grill & Broil, preheat to 400°F. 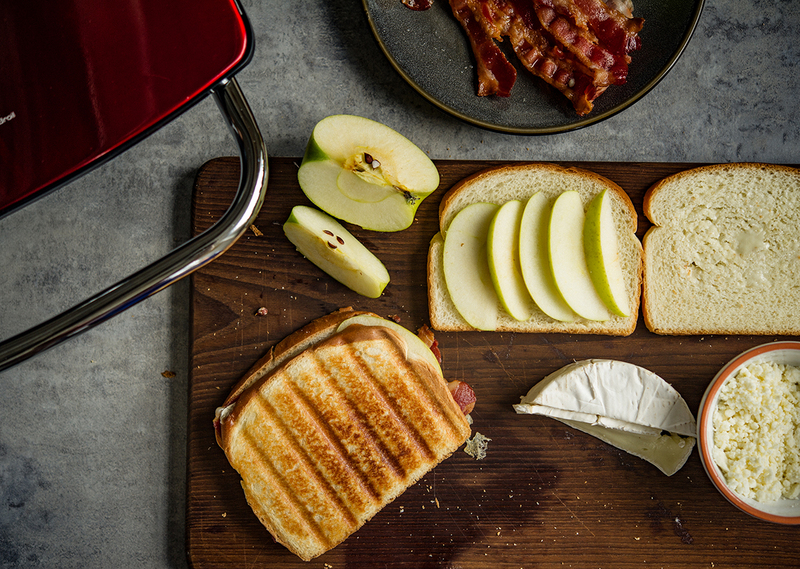 Fill bread slices with Brie, bacon, apple slices and goat cheese. Brush outsides of bread slices with butter. Grill 4 to 5 minutes or until golden brown. Tip: Add in caramelized onions for a sandwich that’s extra special. Sauté 1 medium sweet onion in oil on medium heat for 20-25 minutes, stirring occasionally until onion is wilted and golden brown. Stir in 1 tsp. balsamic vinegar at the end of cooking. Add inside or on top of Panini.